Like the campus’ Breakthrough Challenge Video by October 18 to help put Stony Point ahead of Success High School in the Superintendent’s video competition. 1 Everyone in Round Rock ISD can and will be a champion for students. 2 Reach out to everyone on your team and make the relationships work for students. 3 Allow student voices to be heard throughout Round Rock ISD. 4 Breakthrough constraints by turning negatives into positives. 5 Advocate tirelessly for our schools in our community. 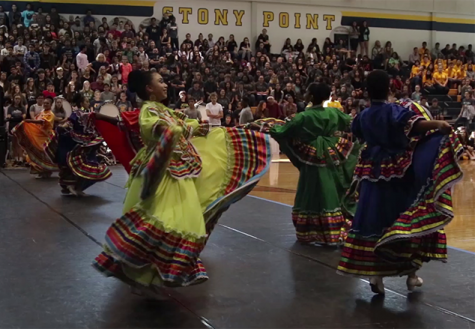 The campus’ Student Publications Department created the Stony Point breakthrough video.